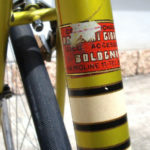 Special thanks to Aldo Cavalca for all photos presented herein. 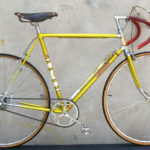 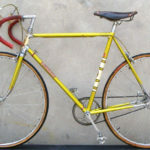 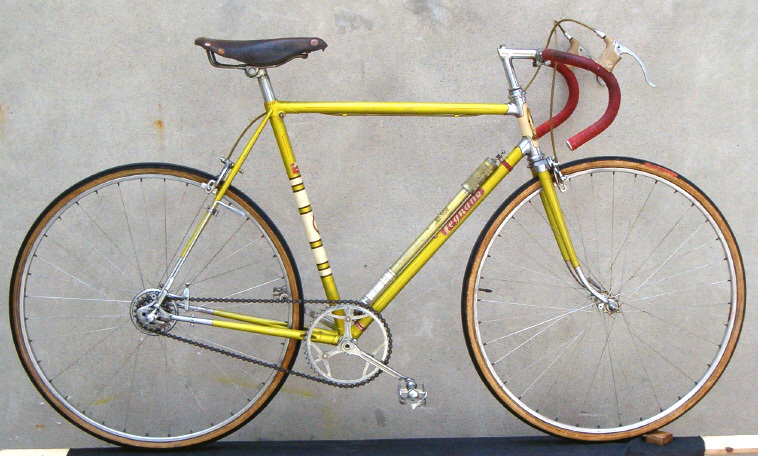 Back in ’63 – ’64 my parent’s bought me a second hand Legnano race from Joe Whiskers bike shop in Kilburn, London. 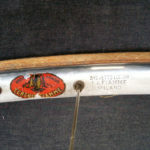 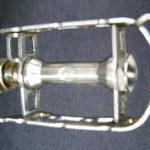 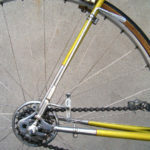 The frame was finished in metalic Blue with elaborate white coach lining on all tubes, had half chrome fork ends an chrome plated front lugs and the peculiar revese seat bolt. 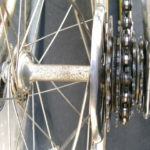 The chain set was a square section alloy Campag cotterless one, and the crank arm ends were blanked off. 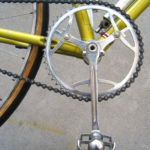 Gears were Campag Gran Sport (both front and rear), with handlebar control levers for both. 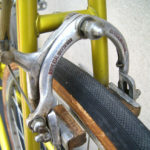 Pedals were Record with c/p steel frames. 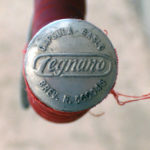 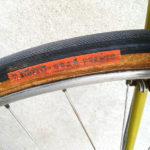 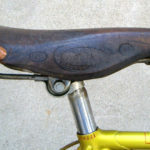 Seat pin was a Campag Record with Brookes B17 saddle. 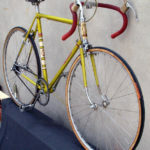 Wheels were L/F Campag Record hubs engraved Legnano on 36/36 Fiamme rims with c/p double butted spokes. 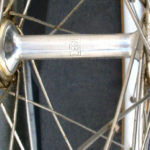 Tubs were Clement ‘Enwell’. 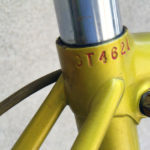 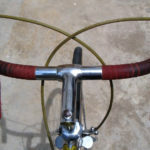 Bars and stem were alloy Ambrosio, and the brakes were Universal side pull with white lever covers. 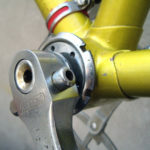 All control cables were secured to the frame with Campag clips. 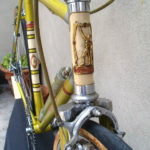 I have a couple of pictures of me racing this machine in the mid sixties, and the photos show good detail of the componentry.